Preparations for Pjazza f’Pjazza are well under way. Pjazza f’Pjazza is a storytelling community project that pays tribute to the life, culture and identity of Żabbar. Organised by Żabbar Local Council, in collaboration with Valletta 2018 and Pjazza Teatru Rjal, this festival will be taking place on Saturday 25th July at 6pm at the old Venda in Sanctuary Street. The event #IAmHazZabbar, which is part of Pjazza f’Pjazza festivities, is an audio-visual experience that celebrates the community and local culture of Żabbar. To find out more about this interesting initiative, I made my way down to Żabbar to meet photographer Martin Bonnici, who is part of the Pjazza f’Pjazza creative team operating under producer Marc Cabourdin. Apart from Bonnici, this creative team is made up of team director Chantelle Micallef Grimaud, and team music director Andrew Schembri. The photographer has taken a group of teenagers under his wing to teach them the basics of photography. But it’s not just that – “They’re visual storytellers,” says Bonnici. The teenagers enter a nearby house, to the side of the garden, while Martin and I stay outside, where he brings me up to speed about the project. 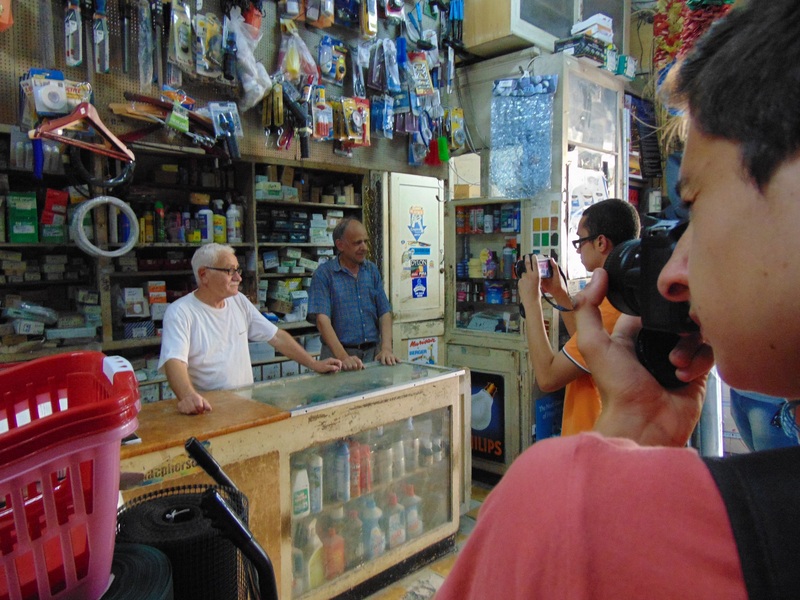 Martin may have taught the Żabbar youths some photography basics, but this isn’t the only thing they’ve learned to deliver a stellar project. Since they have to tell the story of the Żabbar community, the youths also learn interviewing skills and film editing skills, while another group creates a soundscape by learning music composition. The whole point of this activity is for these adolescents to tell the story of the Żabbar community by meeting and interacting with the very people that make up that community. Once the teenagers come back out, they tell Martin that the man living in the house used to be the mayor of Żabbar. They then discuss where to go next, agreeing to going around Żabbar centre to snap some more shots of the members of the community. Martin lets the teens lead us – they are, after all, Żabbar residents, whereas Martin and I are outsiders accompanying them on their journey of documenting the story of Żabbar and its residents. We visited a number of different places such as shops and band clubs, with the youths taking photos of people who’d concede. Outside a bar along the main road, they ask a group of elderly men sitting outside if they could take their picture, to which the men agreed. What the youths perhaps don’t realise straight away is that they’ve immortalised that moment of Każin spirit and friendship, and through the image, it will live on, telling the story of these Żabbarin who’d meet up for a pint of beer or a cup of tea, happily chatting away. The youths also photographed pedestrians and shop owners – although not everyone was comfortable with having their picture taken. Here, Martin explains that the teens are also learning another lesson apart from how to take photos – they’re learning how to be respectful of others at all times. What was evident throughout this experience was the ever present feeling of unity amongst the Żabbar community. They laugh, talk and joke with one another in the street – it truly feels like they are all members of an extended family, rather than people simply living together in the same town.